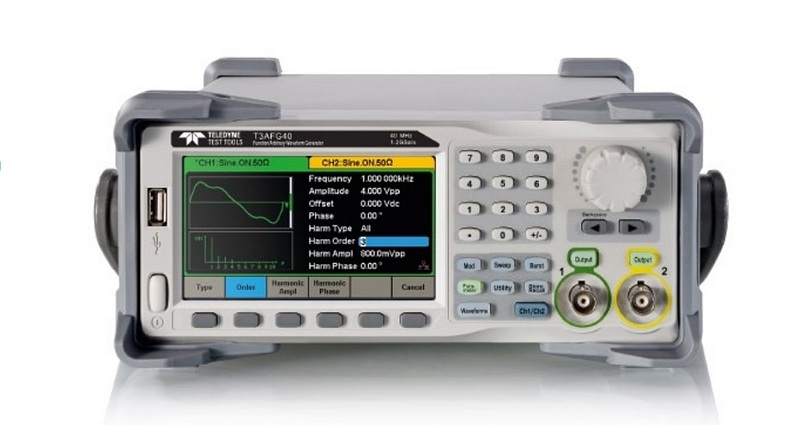 Teledyne Test Tools instrument catalogue, announced at the end of September 2018, is complemented by the T3AFG series of function and arbitrary waveform generators. The T3AFG generators range consists of five models with a 3.5 or 4.3 inch colour display. These instruments, equipped with one or two output channels, cover a maximum bandwidth from 5MHz to 120 MHz depending on the model. Maximum bandwidth: 40 MHz, 80 MHz and 120 MHz. Maximum sampling rate per channel: 1.2 GS/s.